ELIMINATE FLAKES, ITCH AND ODOR! The first hair care line created to care for protective styles. 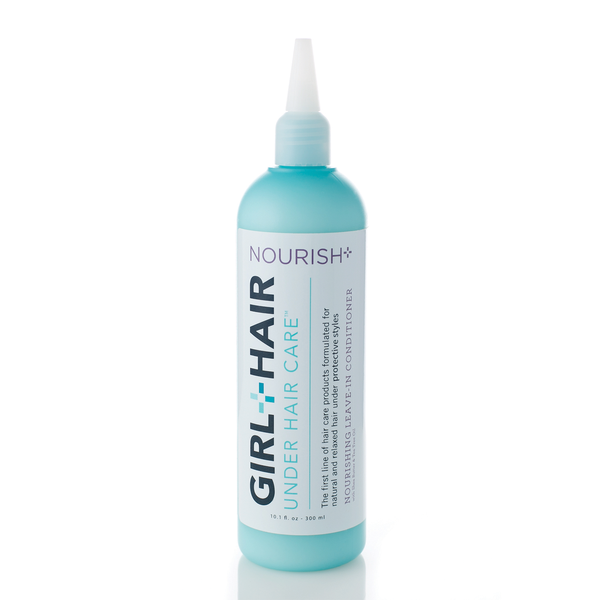 Girl + Hair was created to eliminate flakes, itch, and odor, while also promoting and retaining growth of natural hair. It is ideal for braids, twists, buns and hair under wigs and extensions. Our Complete Hair Care Kit consists of a cleanser, apple cider vinegar rinse, and a nourishing conditioner. Order with confidence. 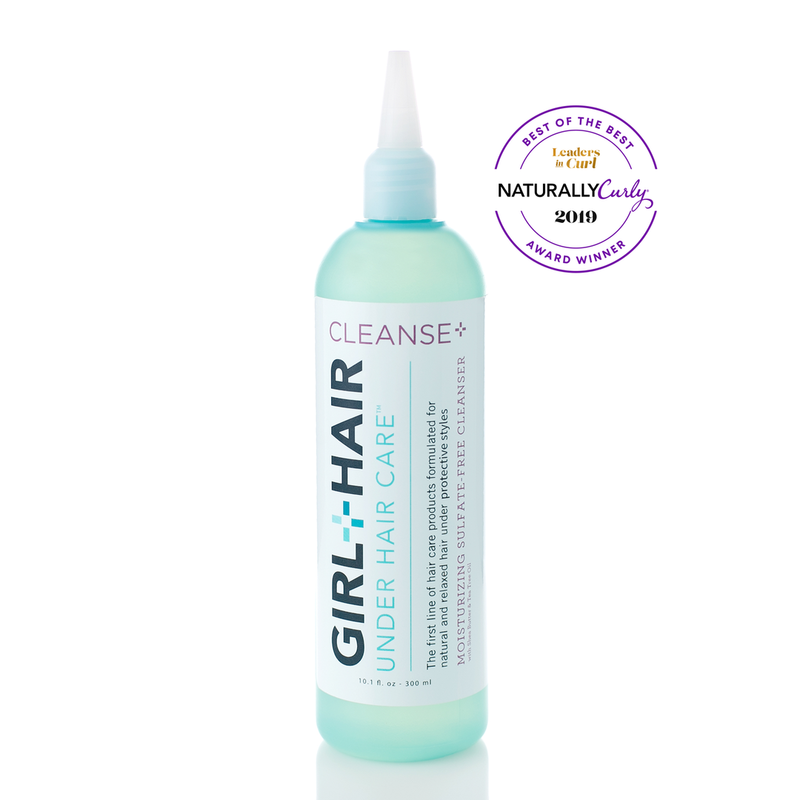 Try GIRL+HAIR for 30 days and if it doesn’t work for you, get your money back! There’s absolutely no-risk in giving it a try. Nourishing ingredients for a deep clean that is soft on the hair and scalp. This shampoo was designed to moisturize the scalp and prevent itch. It includes Shea Butter, Tea Tree Oil & Neem Oil, which naturally moisturize and soothe itch. highly concentrated yet low viscosity, making it easy to apply to the entire scalp and roots of braids. The applicator tip makes it easy and quick to cleanse and soothe the scalp. 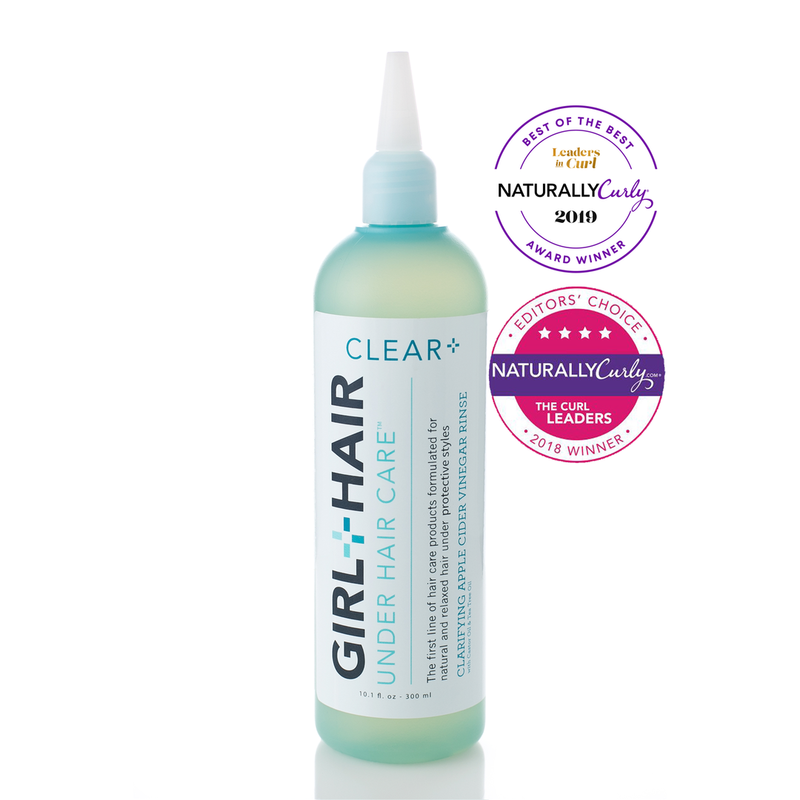 Have flakes and buildup, but don’t like how cleansing shampoos leave hair stripped and dry? Our Apple Cider Vinegar rinse was made for this! It balances the PH of the scalp and hair, and has antifungal and antibiotic properties, which reduces flakes. It also removes buildup safely, WITHOUT stripping hair of moisture. Other rinses smell so strongly of vinegar, it's uncomfortable to actually use them. Ours is formulated to neutralize the vinegar odor naturally with essential oils - which also help the scalp and hair! Our ACV Rinse also contains Vitamin E & Rice Water to restore the integrity of hair. Rice Water contains proteins that assist in repairing damaged hair follicles and improves elasticity. Deep conditioning treatment that protects and nourishes. This conditioner moisturizes and helps prevent itch, while promoting hair growth. The applicator tip makes it easy and quick to cover the entire scalp and roots. This leave in conditioner will deeply nourish and protect your hair. No need to rinse, this conditioner was formulated to stay and leave no buildup. But flakes and itch made me feel a little insecure in the office. I tried to find something that would treat my hair in braids - but there wasn’t anything out there. I wanted to create a line made JUST for protective styles. Something that could eliminate the flakes, itch, and odor that I have experienced in a protective style. I’m so happy to have created a system that can help with that! Restores scalp and hair's PH, contains anti-fungal and anti-biotic properties to reduce flakes. Neutralize odor on contact with natural ingredients, effectively remove and prevent buildup.